New York, March 29: In a surprising discovery, scientists have spotted a new organ in our body, which was apparently hiding in the plain sight. The new organ 'interstitium' is a connective tissue an 'open, fluid-filled highway'. The findings, published in the journal Scientific Reports, has implications for the function of all organs, most tissues and the mechanisms of most major diseases. The reason it stayed elusive all these decades was because researchers thought that it was a wall of protein. It still needs to be officially designated as organ. Researchers from the New York University in the US showed that layers of the body long thought to be dense, connective tissues - below the skin’s surface, lining the digestive tract, lungs and urinary systems, and surrounding arteries, veins, and the fascia between muscles - are instead interconnected, fluid-filled compartments. The finding that this layer is a highway of moving fluid may explain why cancer that invades it becomes much more likely to spread. Draining into the lymphatic system, the newfound network is the source of lymph, the fluid vital to the functioning of immune cells that generate inflammation. Furthermore, the cells that reside in the space, and collagen bundles they line, change with age, and may contribute to the wrinkling of skin, the stiffening of limbs, and the progression of fibrotic, sclerotic and inflammatory diseases. The field has long known that more than half the fluid in the body resides within cells, and about a seventh inside the heart, blood vessels, lymph nodes, and lymph vessels. 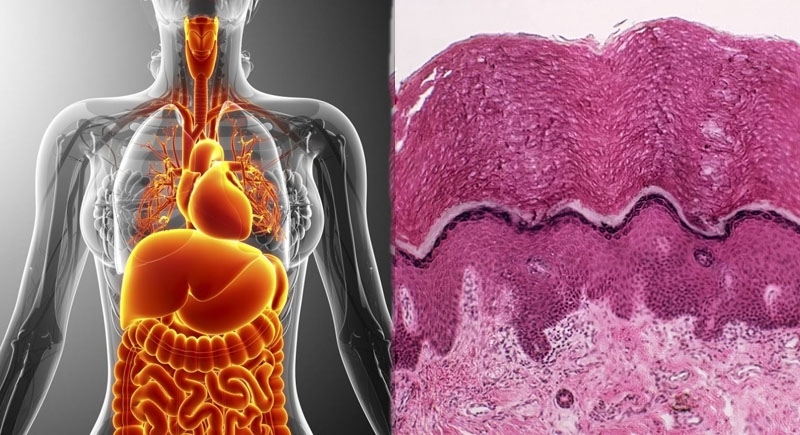 The remaining fluid is “interstitial,” and the current study is the first to define the interstitium as an organ in its own right, and as one of the largest of the body, researchers said.